TaylorMade may be known for its golf clubs more than its balls, but two of its models have been making a splash in the past few years: the TP5 and TP5X. The TaylorMade TP5 and TP5X golf balls may seem similar on the outside, but it’s actually their exteriors that make them each unique. Both balls gained fame since their release and have even attracted some serious celebrity attention. You’ll find a huge difference between the Tour Pro series and the TP5 and TP5X models. So which golf ball model is better? Find out for yourself. 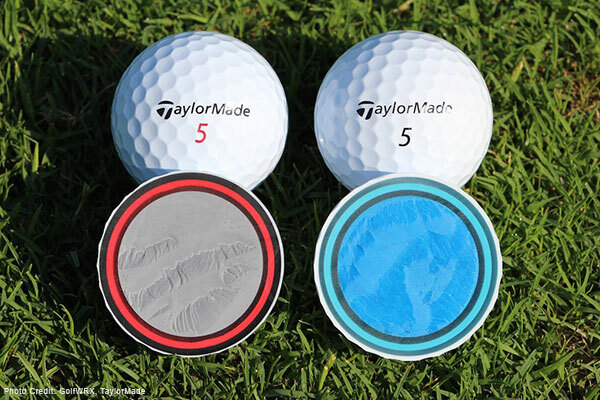 TaylorMade first launched its newest line of TP5 and TP5X golf balls in 2016. Since then, the response has been impressive. Both pro and casual players have taken to the features of both models and have found that they surpass the features and benefits in TaylorMade’s Tour Pro line. The five layers of construction is what truly allows this ball to shine. It gives you the best of both worlds since the soft cast urethane cover allows the club to maintain a better grip on the ball, and the firm interior layers allow for more precision, higher ball flight and longer distances. Five layers of construction mean more control; you can enjoy the best of both worlds with the TP5 and TP5X. The biggest difference between the TP5 and TP5X is the softness of the exterior. The TP5 golf ball has a soft cast urethane cover, and the TP5X has a slightly stiffer cast urethane cover. The TP5X’s firmer cover allows for more speed, a higher trajectory and less spin. You’ll get a much more powerful trajectory and more distance with the TP5X than you would with the TP5. The TP5 has a .040" cast urethane cover thickness while the TP5X has a .020" cast urethane cover thickness. Which Professional Golf Players Use TP5 or TP5X? Four-time major champion Rory McIlroy was quoted in Golfworld as saying, "I'm seeing numbers that I haven't seen before, and I really think this TaylorMade TP5X is going to help me." Dustin Johnson and Jason Day, both of whom have reached the top of the World Golf Rankings, play with the TP5X as well. Where can you buy both the TaylorMade TP5 and TP5X golf balls while saving 50% to 80% off retail prices? Lostgolfballs.com sells both the TP5 and TP5X. Read real user feedback and reviews to decide which ball is right for you. Save money by buying directly from our website. We believe that golfers don't need to spend a lot of money on the one thing they lose while playing their favorite game. The golf balls you purchase from us come from many of the premier courses across the United States. We are the largest recycled golf ball company in the world. We clean, sort and sell recycled and used golf balls worldwide. Millions of golfers have already been playing with our recycled golf balls.